Everyone has different living arrangements and different requirements. If your living situation is a little different from the norm, it will probably have an impact on your home insurance needs. Here are 3 different scenarios to consider. With the purse strings being tightened on many a family budget; some people are looking to find new, cost-effective holiday options. Many people now find ‘staycations’ more appealing than spending an additional hundreds of pounds on flights to foreign shores. Which means house-swaps have become a popular way to have a low-cost holiday in a home away from home. According to new research from Lloyds TSB, house-swapping is set to rise this year – with twice the amount of house-swappers predicted for 2011 than in 2010. The recent study suggests that 1.6 million Britons have arranged a house swap for 2011. Lloyds TSB also stresses that almost two-thirds of house-swappers they questioned had run the risk of invalidating their cover. If you’re planning to exchange your property, even if it’s just for a couple of weeks, make sure you let your insurer know your intentions. It’s likely that your insurer won’t automatically cover you for any damage that occurs during this holiday-swap period. Particularly if you don’t know your house-swap partner, you’ll want to make sure your home is protected should the new visitors cause any damage. To help avoid invalidating your policy, inform your provider well in advance of this exchange. Also, be sure to use a reputable house-swap website if organising the exchange online. If you are between properties and end up on a friend’s sofa – be aware that you’re unlikely to be covered by their contents cover. Many policies state that the property must only be occupied by the policyholder and their family (including co-habiting partners). This would mean that you, as a guest, would not have your possession included in the cover. You may not have a great deal of your possessions with you if you’re staying on a sofa – but be aware that anything you do have with you may not be covered, such as a gadgets. If you have a permanent residence and you’re just staying with a friend for a short time – make sure your policy will stretch to cover portable items while you’re away. Always check with your provider to make sure any possessions are fully covered. If you decide to rent out a spare room either to a friend or an unknown lodger, be sure to inform your provider. 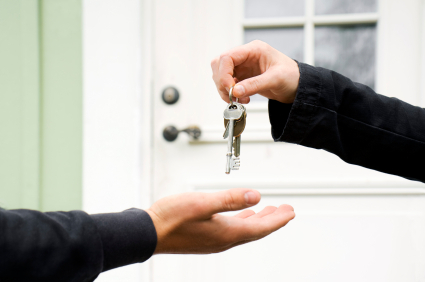 You could risk invalidating any policy you have if you start sub-letting or renting out any room in your property. Make sure you chat to your provider about the terms and conditions of your policy before taking on a lodger. With regard to bedsits or rented rooms within a shared property, some policies may require you to have a lockable door to your particular living area before they’ll offer to cover your contents. Some may refuse to offer you cover full stop – as they see this living situation as a risk. Most policies also exclude theft or malicious damage by anyone lawfully on the premises. So, if you have a dispute with your lodger and they vandalise your home – it’s quite possible you won’t be covered. Read the terms and conditions of your policy carefully to understand exactly what circumstances are covered.